Since 2013, when we started the Stickman project we come a long way. We continuously improve the blanks, the components and our craftsmanship. We offer a wide range of rods, each and every model developed and built individually with specific fishing situations in mind. Our design team in Spain keeps searching for new materials and experimenting with new technologies to manufacture the world’s most advanced graphite blanks to our specifications. Our customer service is cooperative and responsive. We will do everything to keep you informed all the time wether you purchased a new rod, needed after sales service or just asked any question regarding our products. Ákos started fishing at the age of 6. Decades later, after fishing most every method used in his part of the world, he stuck with fly fishing. 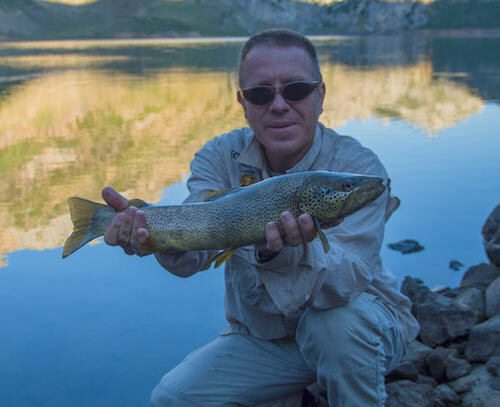 He prefers to fish big rivers and lakes like the Danube, the Tisza or the Balaton, most often chasing pike, zander and asp but he is not a stranger to trout, grayling or saltwater fly fishing either. 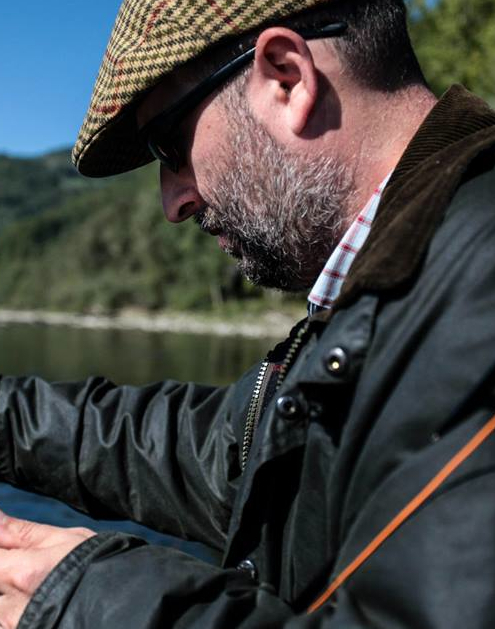 As the author of the first Hungarian-written book on fly fishing and a IFFF certified Master Casting Instructor, Ákos tries to introduce the sport to as many people as possible. He is also the vice-president of the Association of Hungarian Fly Fishers, a group of fly fishermen dedicated to the promotion of our sport. 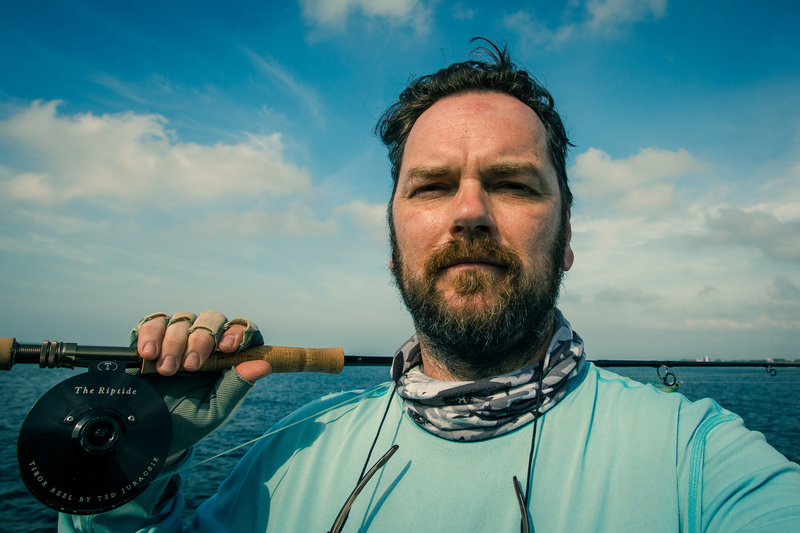 As the owner of Stickman Rods he is responsible for product design, marketing, production and customer service as well. Alejandro was born in 1960 in Toledo, Spain. He has been living in Asturias for 20 years now, in the region where the most important salmon rivers of Spain flow. He was one of the founders of the spanish fly casting instructors program PAIL in collaboration with Mel Krieger. He is member of the spanish national fly casting comission (Comisión Nacional de Lanzado) and PAIL Master Instructor as well as FFF MCI and founding member of the Divulgation and Teaching of the fly Casting Association (Asociación para la Divulgación y la Enseñanza del Lanzado a Mosca) where he is currently chairman. His interest in fly casting led him to investigate the physics of it and made him interested in rod and line design. After some initial tests with bamboo rods he joined the company CDL Fly in 2002 and created his own rods modifying blanks manufactured by the Italian company Modern Flies. Later he worked at Modern Flies, where he learned the secrets of making the finest blanks. In 2009 CDL Fly purchased the Modern Flies factory, and Alejandro became Maxia Rods’s designer and production manager, where he designs and builds the Stickman blanks to our specifications. Gampi was born in Keszthely, an idillic small town next to the Lake Balaton. He's been chasing fish since he could walk. Fish and water have influenced his choice of education too, he is a fishing technician. He has been in the fishing industry for more than 20 years now. At first as a shop owner and later as a custom rod builder. Rod building is a passion for him, he constantly strives to reach perfection in everything he does. Apart from fly fishing and rod building he is also a keen fan of old english made tackle and fishing magazines. His workshop in his hometown is a known gathering place for like-minded fisherman. 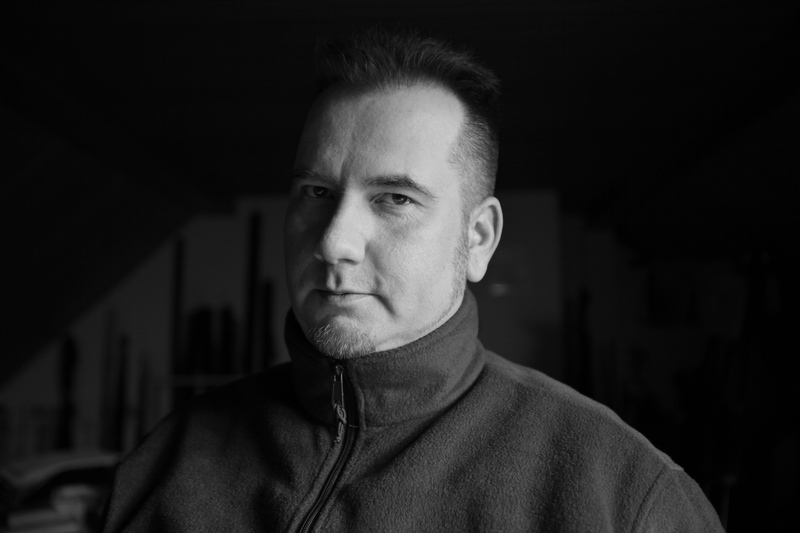 Péter is our art director, and creative marketing specialist. He has worked on the advertising field more than a decade, as a designer, art director and creative director. He designs our logos, rod stickers, ads and yet-to-sell clothing. We consult him in every question regarding aesthetics and marketing. His passions are photography, playing drums, and travel.